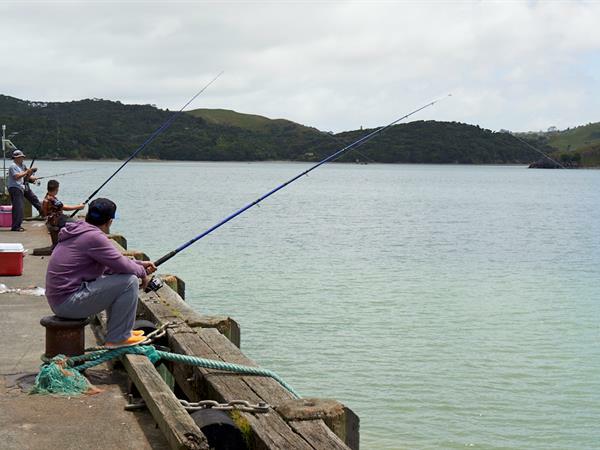 Raglan fishing gives you all of the options – head out for a day’s fishing, drop a line off your dingy, surf cast off the beach or harbour mouth at Rangipu, or pop across the walk bridge and fish off the jetty at the Raglan township. And all of this is at your doorstep when you stay at our Raglan accommodation - Raglan Holiday Park. You'll be almost completely surrounded by water at our Raglan campground - the hardest part of your day will be deciding where to start! Click here for more information on your Raglan accommodation options at our holiday park.